Building on previous models with improved distance and directionality. 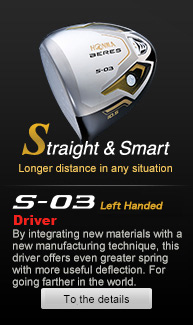 A larger face offers vastly improved rebound performance. 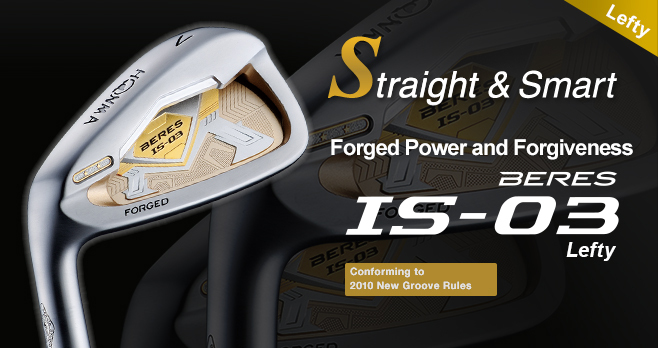 Designed with a proprietary high moment of inertia and a deeper, lower center of gravity (CG), the IS-03 delivers stable directionality and superior trajectory performance. Wider head stress distribution increases distance. This ability to incorporate weight distribution into the design reflects the skill of our master SAKATA craftsmen. The most powerful irons HONMA has ever produced, these unique clubs deliver ultimate ball flight and ease of hitting. Allocating weight to the toe and heel increases the moment of inertia. A deeper, lower CG design that distributes sole thickness more towards the sole and back face results in a higher trajectory and ease of contact, ensuring greater distance than with the previous model. Made of high-strength maraging steel, these clubs feature a five percent increase in face area compared to the previous series, with a flange section that is ten percent larger. 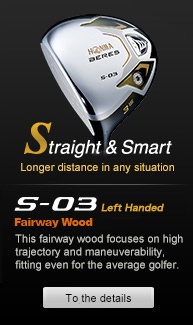 This increases face deflection, improving distance and reducing loss from miss-hit shots.